Jack Rittichier was born on August 17, 1933, in Akron, Ohio. 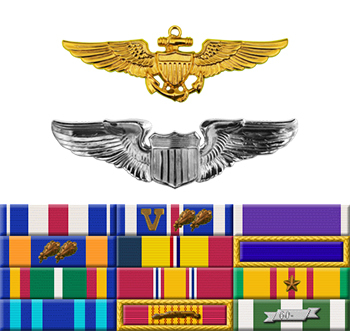 He was commissioned a 2Lt in the U.S. Air Force through Officer Training School at Lackland AFB, Texas, in August 1957, and completed Undergraduate Pilot Training in December 1958. After completing combat crew training in the B-47 Stratojet bomber, Rittichier flew with the 340th Bomb Wing at Whiteman AFB, Missouri, until he left the Air Force in November 1962. He accepted a commission as a LT in the U.S. Coast Guard on September 26, 1963, and was trained as a search and rescue helicopter pilot. Rittichier was assigned to Coast Guard Air Station Elizabeth City, North Carolina, from 1963 to May 1966, and then at Air Station Detroit, flying out of Selfridge AFB, Michigan, from May 1966 to April 1968. He then volunteered for an exchange program with the Air Force and began flying combat missions with the 37th Aerospace Rescue and Recovery Squadron at Da Nang AB in the Republic of Vietnam. 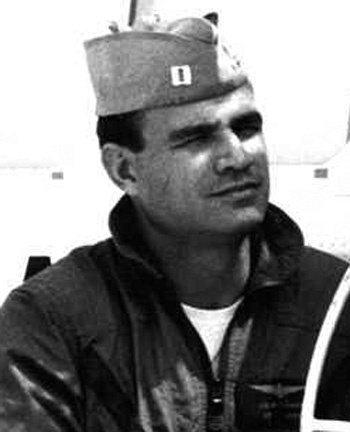 LT Rittichier was killed in action on June 9, 1968, while attempting to rescue a downed Marine Corps Aviator. His remains were finally recovered in 2002 and he was laid to rest at Arlington National Cemetery on October 6, 2003.